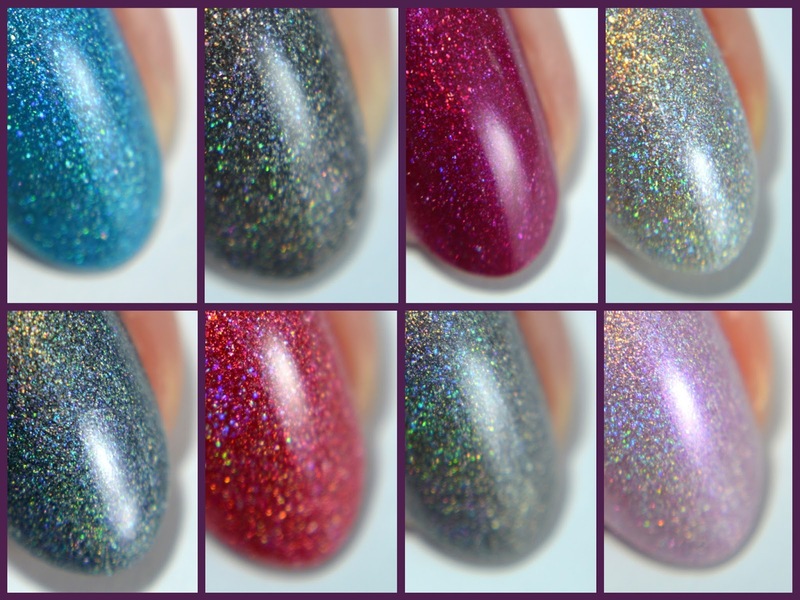 The Shakespeare's Fairies collection consists of 8 holographic polishes. The addition of iridescence and shimmer creates an even more sparkly finish and the unique colours make you stare at your nails for ages trying to figure out what they are! In terms of formula the collection is as always flawless. I have noticed that the brush has changed to a rounded one, making it easier to perfect the cuticle line. All polishes have been swatched with a layer of top coat to bring out the true sparkle. Let's have a look! 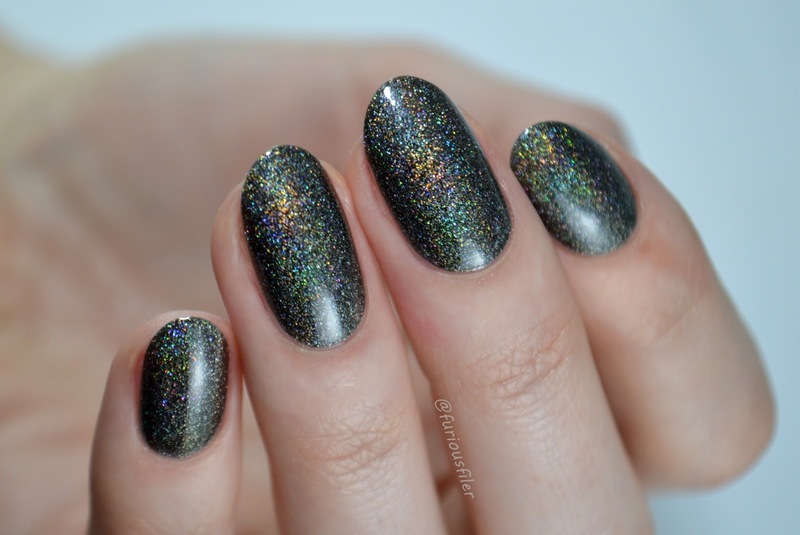 A very sparkly silver holo that's opaque in 3 thin coats. The formula is quite thin so I think it would work great as a top coat too. 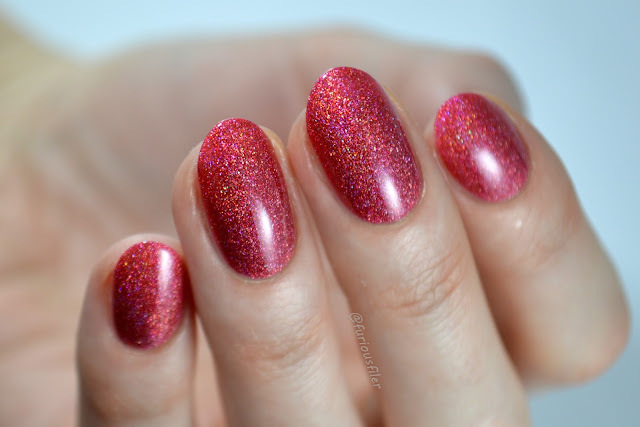 Titania is absolutely stunning and looks like crushed crystals on your fingertips. I am not too sure how to describe this shade (get used to this, it happens a lot in this post!). I mean, it's definitely a deep green but I think there's also a hint of blue there. I actually didn't think I'd like it at first but look at that multicoloured sparkle, I'm sold! Here I'm wearing 2 coats. I was so excited to wear this shade because it's actually a lot juicier than the bottle suggests. This light warm pink is quite sheer so it was opaque in 3 thin coats. A pastel violet with a violet reflection. 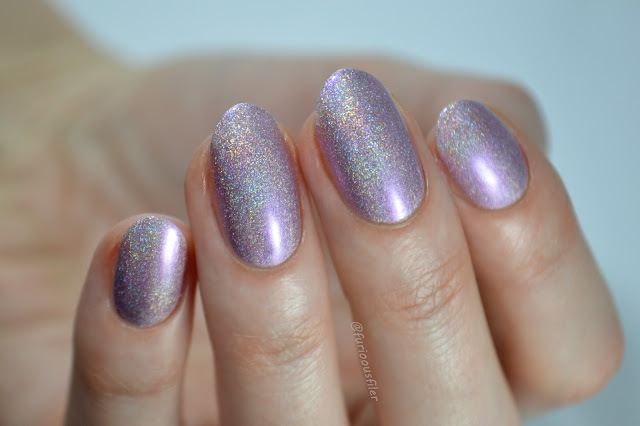 This is a beautiful delicate holo opaque in 2 coats. 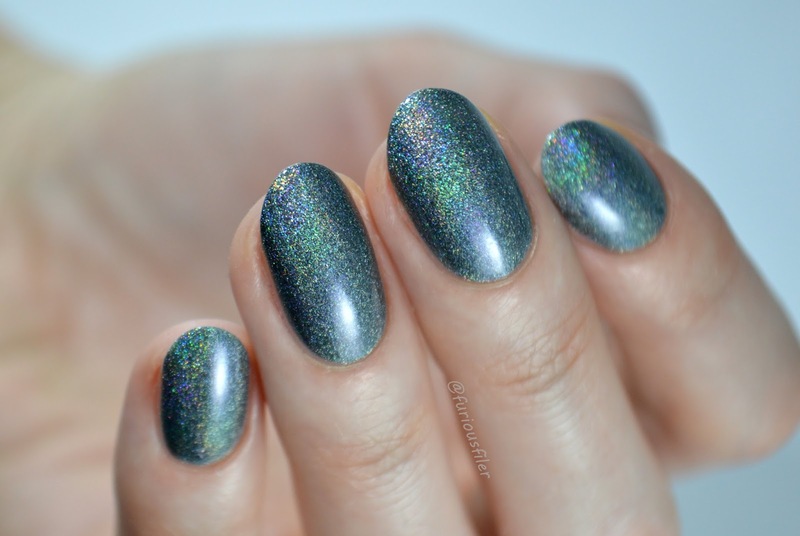 Ash grey polish with a beautiful holographic spectrum. Here I'm wearing 2 coats. Apart from this one being an absolute stunner, I *think* it's a deep cool pink/purple. It's almost a one coater too. Here I'm wearing 2 coats. This shade is similar to Cobweb a Fairy but darker. It leans a teensy tiny bit towards green in my opinion and it's gorgeous! Shown here in 2 coats. OMG, OMG, OMG, this is everything! I am so excited to see something so bright in an A England collection. This is a juicy holographic turquoise, opaque in 2 coats. The Shakespeare's Fairies collection is 3 free, vegan and and cruelty free. It is available directly from A England or from international stockists. Any favourites? I dare you to try and choose!